Any suggestions for a cheap bag for the Evolution standard tripod? Find a really tall friend who has a 40 inch or larger waist and ask them to donate a pair of old jeans to you. With a seam ripper (small gadget available at fabric stores), open the leg seams. 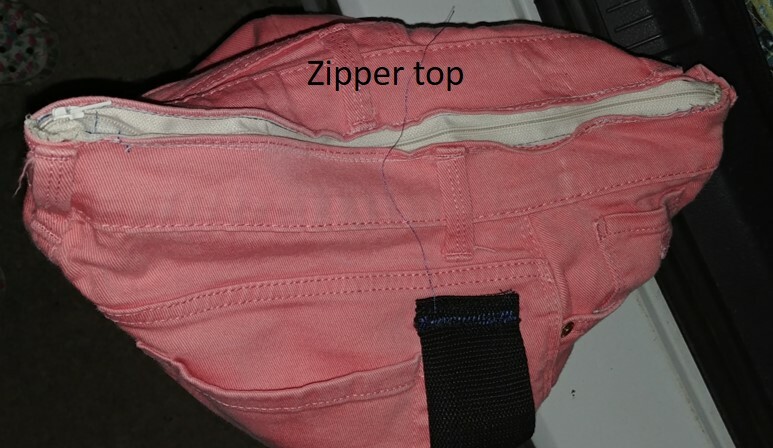 Sew the legs into a bag, Get a 20 inch heavy duty zipper and sew it to the waist. 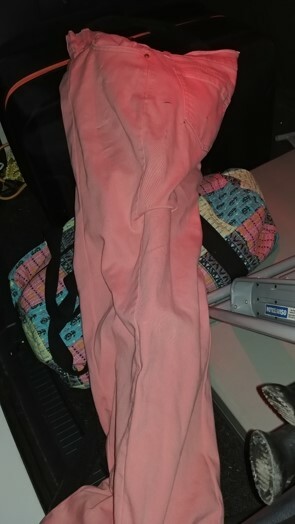 This is a bag for a Celestron 4SE tripod and mount head, from a pair of pink Costco jeans in a small ladies' size. If you have an old belt, or buy a piece of belting from the fabric store, you can have a carry strap. I use an old sail bag for mine, it's not padded but it keeps dust/dirt off. I can't remember which size, maybe large, but I use one of the REI "Daytripper" duffle bags. Works great and if it gets messed up just get another one. Mine has been doing fine for over a year.